If you are interested in advertising your services on this page, Contact Aaron today! 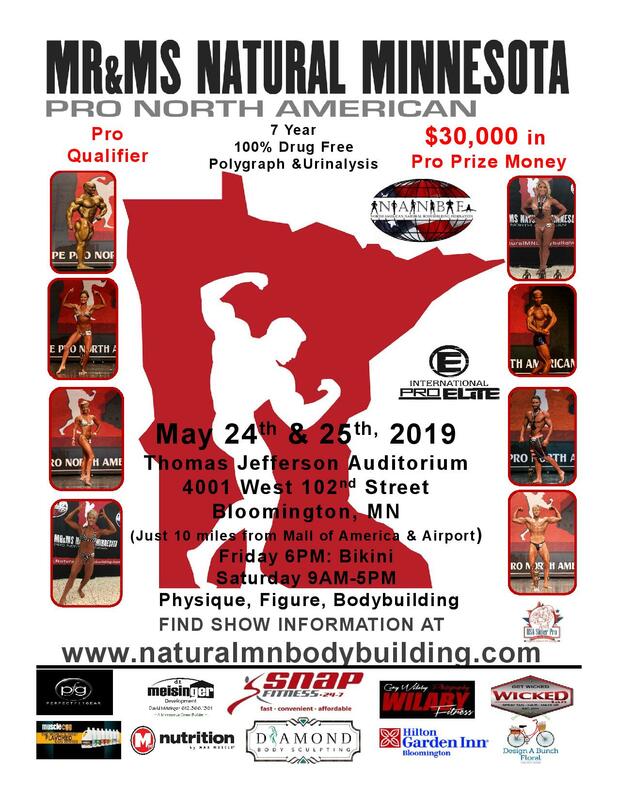 Experience/Titles: IPE Pro Bodybuilder,Mr/Ms Natural MN & IPE Pro North American Promoter, NANBF MN State Director,23 years experience as a trainer, competed in over 28 competitions.Most recent competition accomplishments:2018 IPE Pro Masters Cup 3rd place, 2017 1st place IPE Pro Am Masters in Chicago, 2007 Pro International top 10,2004 10,000 Lakes Overall Champion, 2002 Musclemania hvy wt 2nd place,NPC Mr. Minnesota 2000 Overall, 1997-98 Natural USA Hvy wt. winner. 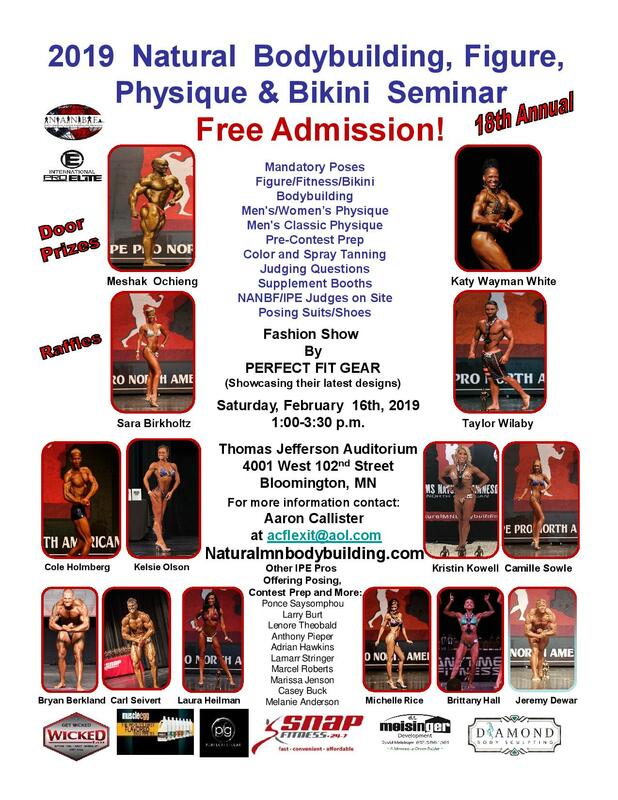 Experience/Titles: IPE Bikini Pro 10 years experience as a natural competitor, 20 plus competitions,NANBF Judge,2014 IFPA Pro North American 2nd place, Yorton Cup qualified 2014 & 2013, 2013 IFPA Pro Masters Bikini Galaxy 3rd place, 2012 Ms Natural Minnesota Bikini Overall Champion, 2012 Central Midwest Masters Bikini Champion,2012 Natural Iowa Open Bikini Champion, 2011 USAs top 5 Open Figure Medium-Tall, 2010 Ms Natural Minnesota Best Presentation, 2010 Ms Natural Minnesota Open Figure Medium winner. Training Locations: Minnetonka, MN (Private posing room) Clear Lake, IA (Private posing room) Remote Coaching Available. Experience/Titles: Tara is the Founder of Perfectly Prepared, a company she created to prepare and empower women in fitness to approach life with passion and a balanced perspective. She brings her extensive experience in Posing, Presence, and Mindset to her clients by helping them bring their best to the competitive stage, photo shoots, publications, attaining sponsorships, and most importantly, to life.